Brita Holmquist was born in New York City, daughter of painter Ibbie Holmquist and Goran Holmquist of Bonniers Inc., the store that introduced the United States to International craft and industrial design. She attended the Moore College of Art in Philadelphia. Brita spent her first winter in Maine, 1971-1972, working for the Maine Audubon Society as the resident artist creating everything from brochures to the layout of the monthly newsletter. She also worked at the Ram Island Arts Center as a designer of arts programs and advertising materials. The next fall, she left for Florence, Italy to study with American painter, Richard Serrin. After two years of study in Italy, Brita returned to Maine, and married Florentine, Roberto Bonechi. They bought the house in Cumberland in 1975 where they still live. In 1982, the Bonechis' daughter, Lilias was born. As Maine is a small state, Brita has served on the board of the Maine Festival, the Portland Arts Council, the Artists' Advisory Panel to the Maine Commission, the Artists' Advisory Council to Maine Coast Artists, the Advisory Board to the Institute of Contemporary Art at the Maine College of Art, as well as the Cumberland County Democratic Committee. She has also served on the boards of Figures of Speech, The Breakwater School, The Winter Harbor Theatre Company, The Jason Project and The Maine College of Art. As a summer resident to the island of Islesboro, she served on the Comprehensive Plan Committee and on the Community Fund there. 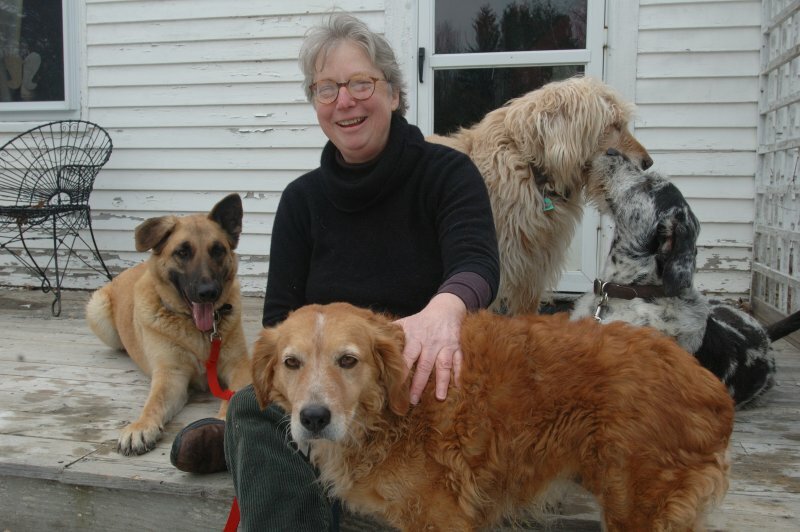 She cofounded 10x10, an artists' group of ten, and the Peregrine Press, a cooperative artists' press in Portland, Maine in 1991. Brita also designs earthenware and catalogs for her husband's Italian ceramics importing company, R. Bonechi Imports. She runs her own faux finishing business 'Suspended Belief' of both external and internal finishes and murals. Brita's work is in the collections of the Farnsworth Museum in Rockland, Maine and the Portland Museum of Art in Portland, Maine.